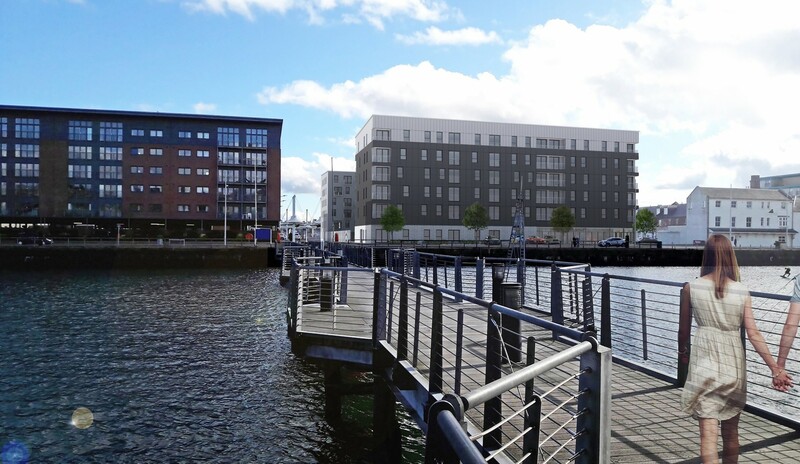 JM Architects have firmed up their proposals for new waterfront housing at Dundee’s City Quay with the submission of detailed design proposals for the waterfront plot. Occupying a surface car park the scheme would deliver 122 flats spread across twin six storey apartment blocks, each bookending an expanse of surface level parking. A corner retail unit to the north block is also provided for. 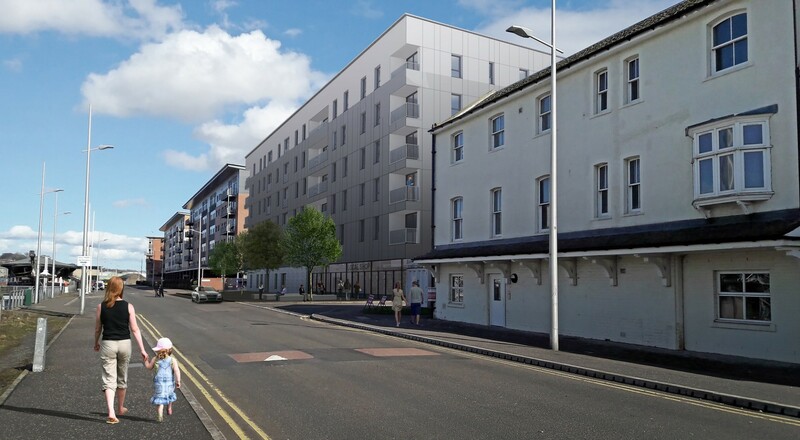 Designed to reinstate a continuous street frontage along Victoria Quay both blocks will rise above a ground floor parking court with the affordable housing element of the scheme operated by Hillcrest Housing Association. Detailing their chosen approach JM wrote: “The development uses brick to form a plinth. The upper levels will be clad in a high-quality fibre cement panel giv¬ing the development a visually homogenous and crisp urban appearance and unique visual identity. The panels run uninterrupted in all soffits and reveals and will be designed in such a way as to articulate the facade thus accentuating the carved form of the design. 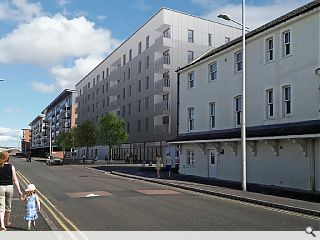 All apartments will include full height glazed balcony doors opening off the living rooms. Looks as if the architects fees get spent on their time drawing up and producing and collating a whole ever-expanding plethora of tick box bureaucratic planning report requirements with several iterations that end up in a cupboard or in some hard-drive never to see the light of day, as they are of no real use and only re-visited properly further down the procurement/ implementation line) which just goes to show that all bureaucracies are self-serving and create nothing. Design? No time for that palaver - just squeeze 'em in and stack 'em high. 60% single-aspect flats, 100% of which are north-facing. That's a great example of using GFRC panels as the most versatile material for architecture. It blends in with the surrounding and still plays its role as facade. I actually prefer the empty lot that is there now. This is truly terrible. Think they missed out the rear amenity deck lid over the car park... once they get that on it'll be fine. That is utterly dreadful: it must be one of the worst schemes ever to reach Urban Realm. The adjacent flats are nothing special, but this looks like a high security prison block, and is startlingly similar to the Earl Grey Hotel which was demolished about 10 years ago. Judging by the rendering, it's just a grey box with wee windows, and there's no "randomness" just a few slightly skew-whiff windows. Fibre cement is a cheap material, not high quality. The plinth doesn't look robust, half of it is occupied by the glazed frontage of the Local Shop for local people. 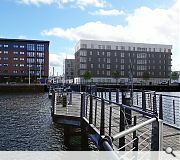 Also, the design statement says: “The north block in the design proposed will command stunning views across the River Tay to Fife and the south block will overlook the Victoria Dock basin and will have views across the central area of the city." They can't even tell their north from their south.